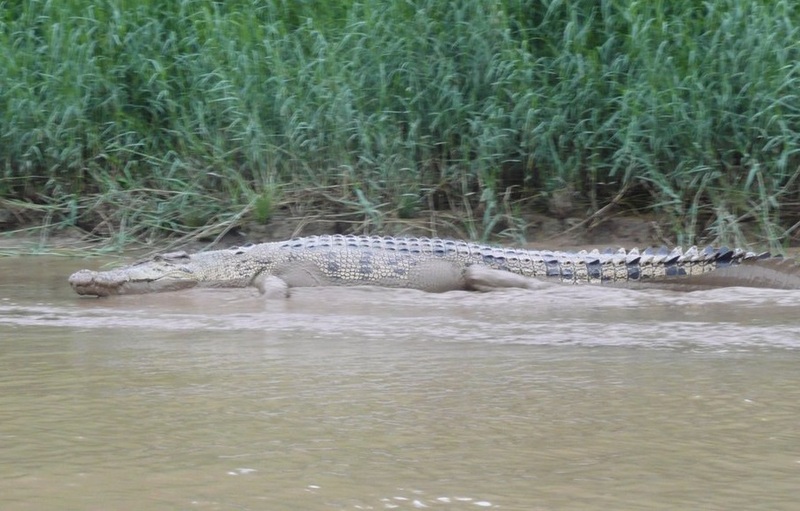 A river crocodile commonly found in Sabah’s east coast. KINABATANGAN – The body of a plantation worker, who went missing while fishing along Sungai Jeroco yesterday, was found Friday morning with crocodile bite marks. District police chief Supt A. Sahak Rahmat said the body of Jusri Munawir, 28, was found by the search and rescue team at 9.30 am, not far from the area he was reported missing. He added that the body, which was sent to the Lahad Datu Hospital for post-mortem, had several bite marks on the chest, back, left hand and both legs. On Thursday, Jusri was reported missing and believed to have been attacked by a crocodile while fishing in the river near the farm. This was the second incident involving crocodile in the area after a Filipino woman was reported missing and believed to have been eaten by a crocodile near Genting Mewah plantation here on Sept 25.